Hi, my name is Sydney Risen. As a student interested in a health profession, I have spent time looking at how different aspects of our lives can affect our health. It is clear to me, as it should be to all of you, that clean, safe water is at the absolute base of a healthy community and country. As citizens of a first world country, we often take for granted our access to clean water. At the twist of a handle, we are given an endless supply of purified water at our homes, schools and workplaces. Many people shell out $2 or more for bottled water each day. If we all banded together and took just a few dollars, or more, we could implement an entire Water Project in a community in need. The positive benefits provided by a Clean Water Project are endless. 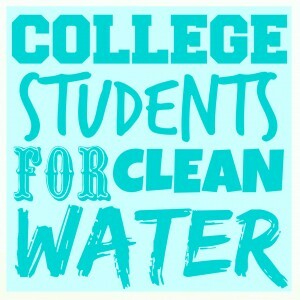 Children are able to spend more time in school instead of walking miles for clean water. Safe water means clean hand and healthy bodies, preventing sickness and allowing people to spend time working, lifting themselves out of poverty. I urge you to consider donating what you can, to give not only a gift, but a necessity of life, that will keep on giving. 11/27/14 Joe Luginbill $50.00 Awesome project. 11/21/14 Kelsey Smith $10.00 Yes!